A Beth Mason poll politicizing the long overdue reval as reported on MSV last week took a new ugly turn with the litigious councilwoman urging Hoboken property owners sue the City of Hoboken. A reval under State law is required every ten years. (Correction: The standard is effective to real property in the municipality being assessed at somewhere between 85% and 115% of the average, then no reval is necessary.) But in recent decades ten years or less would exceed this required average in Hoboken. Recently, property values have again surged in the Mile Square. Hoboken took almost three decades to finally begin and execute a revaluation of all property values in town. While some homeowners saw a stable outcome to their tax bill, others saw a decrease with other residents seeing substantial increases. The latest twist by the Mason family's army of political operatives can be interpreted as an escalation in the never ending Russo faction war on the popular Hoboken mayor Dawn Zimmer and the reform oriented majority on the City Council. The Mason family is the underwriter of the Russo Faction's political operations. Independent reports state the live poll blamed the mayor for "initiating" the long overdue reval in town. Now the paid Mason poll operators are urging residents to sue the City of Hoboken if they are unhappy with the increase in their property taxes. One reliable source said the paid Mason poll operator indicates Beth Mason will host workshops at her Mason Civic League "charity" office on Washington and 12th street offering detailed advice on how to sue Hoboken taxpayers. The Mason Civic League has been controversial almost from its start. Filed as a 501(c)(3), it's required to file publicly each year when its expenditures exceed 50,000. To date, it's not clear if Beth Mason and her husband Ricky Mason have ever done so. It's unknown if the latest Mason family political operation is part of a strategy to restart a new operation to undermine reform which currently holds the mayor's chair and a five working votes on the nine member City Council. Beth Mason herself is facing re-election in ward races in November 2015. At least one potential candidate is expressing interest in taking on Beth Mason in the second ward. live pollsters calling Hoboken residents offering a workshops on how to sue Hoboken after the long overdue reval took effect. The Mason plan calls for Hoboken residents to sue the City. A success for Mason's latest political operation would mean higher taxes across the board for Hoboken taxpayers. Talking Ed Note: MSV has verified indisputable proof Beth Mason political operatives were planning on using the long overdue reval to attack Hoboken Mayor Dawn Zimmer back in November 2009. In point of fact, Mason's senior political operative outlined the plan after her second successive defeat to Mayor Zimmer in the fall 2009 mayoral election. 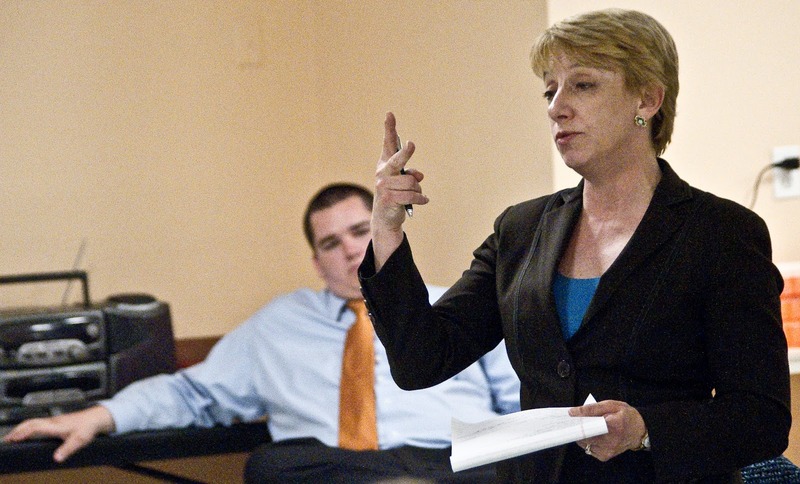 The full email detailing the planned Beth Mason political operation will be published upon legal approval. There's quite a bit more along those lines. What the reval means for residents who saw increases is they benefited from Hoboken not holding a reval for decades. As a result, annual taxes were substantially lower for a period of years when no adjustments were made. Beth Mason political operatives have waited years in the hopes to exploit this. So there's no turning back now. But it stinks really bad: all the way to Weehawken. A correction is added into the story prominently. The full 2005 NJ report showing the requirement is available here.